ShortStayApartment.com is proud to display a selection of stylish apartments that have been selected with special attention to design from our Partners’ offer . The concept of style can be elusive and may vary according to individual taste. Our aim is to create a high-quality portfolio of rental apartments in capital cities and internationally famous locations. The selection of short stay apartments will help people, who appreciate style and have a good eye for interior decoration, find accommodation in the easiest possible way. We would like to present some of these apartments according to their categories, Luxe, Style and Tourist. Our Luxe Apartments are originally and tastefully decorated by professional designers or dedicated property managers with an eye for fine interior design. They feature a special ambience and proffer a sense of exclusivity. Every detail is the fruit of refined decorative choices and the services offered in situ are aimed to complete an extraordinary experience. Additional amenities and services are often available in the very same apartment’s building. The Vincent Van Gogh Apartment in Amsterdam is an example of what we define as a luxury accommodation. Decor in this one bedroom apartment features primarily natural tones punctuated by the vibrant colours Van Gogh is best known for. A large bay window with leaded glass detailing illuminates a spacious living room offering all the comforts of home, and an open kitchen provides the facilities to dine and entertain in style. Our Style Apartments are more finely decorated and have a unique style which makes them charming. Details in the interior design have been taken care of to make the guests’ stay a very pleasant experience. The building may offer extra amenities or the managers may organize extra services on request. 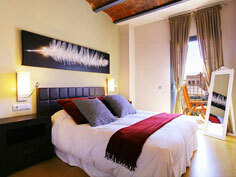 A perfect example of a Style apartment is the Barcelona Liceu Apartments. The entire building is dedicated to accommodate guests and has been fully redecorated maintaining and improving the ancient façade. The interior decoration is modern and exquisitely refined with a personalized chic and basic touch that creates a stylish ambience with all the mod cons you need. 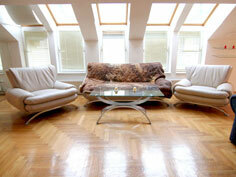 Our Tourist Apartments are equipped to offer a high standard of comfort. They are clean, tidy and offer good value for money. The services included will often be basic and may not include extra facilities in the building or nearby. Amongst these we have selected one of the most representative for the city of Budapest. The apartment has 2 bedrooms with separate access and is equipped with air condition and there is a TV, dvd player and stereos for you in the living room. The kitchen is equipped with all necessary tools to cook and electrical appliances The apartment is located in Podmaniczky street, one of Budapest’s real historic streets on the border of the 5th and 6th district. There are numerous bars and restaurants just around the corner, such as Beckett’s Irish Pub, or Sir Lancelot restaurant. For more information and reservations please visit www.shortstayapartment.com.